Petit Design Co: More destash! 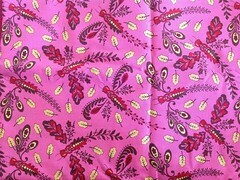 More fabric has been listed. The first round went pretty quick. Remember that I will combine shipping and refund the excess if you buy multiple items. Packages for the first round already went out and should be arriving soon. Thank you for saving my scraps from Goodwill, where they would probably just be tossed into the trash! Go to the "destash" page to see what is available. Oh! I see your quilts are wonderful! Thank you very much for your visit and your nice comment!